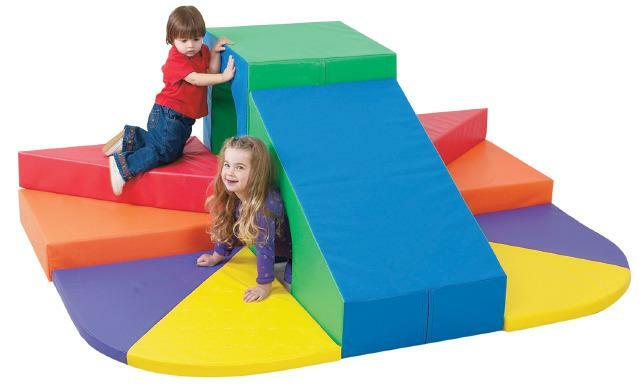 Mountain scaling will delight children and develop gross motor skills. Crawling through the tunnels will develop spatial relationships. Must be placed against a wall for safety. Ages 2-4 yrs. This item will dropship from the manufacturer and may take 1-2 weeks for delivery. Dimensions: L: 80" x W: 60" x H: 30"